With an apparent eye on lingering battery and Messages issues, no doubt, work iOS 7.0.3 is already well under way. No, we don’t know that is what Apple’s working on, but those are the iOS 7 issues de jure and, if nothing else, Cupertino’s code monkeys have been responsive to user complaints. Turn around time is an important and, though neither company nor its mobile OS are perfect, Apple has been pretty darned quick with the bug fixes. For example, Apple was working iOS 7.0.1 for iPhone 5s and 5c, as well as iOS 7.0.2 (lock screen issue) even before it released either iOS 7 or their new smartphones. That said, a small yet persistent number of iOS 7 users are reporting lingering battery and Messages issues. Whereas iOS 7.0.2 remedied battery issues for some, though not all users, the Messages problem got worse for many after that release. Well, guys and gals, unbunch your knickers, because Boy Genius Report is reporting that Apple is working on iOS 7.0.3. To whit, MacRumors adds that they’ve noticed a distinct uptick in the number of devices with IP numbers that trace back to Apple running iOS 7.0.3. 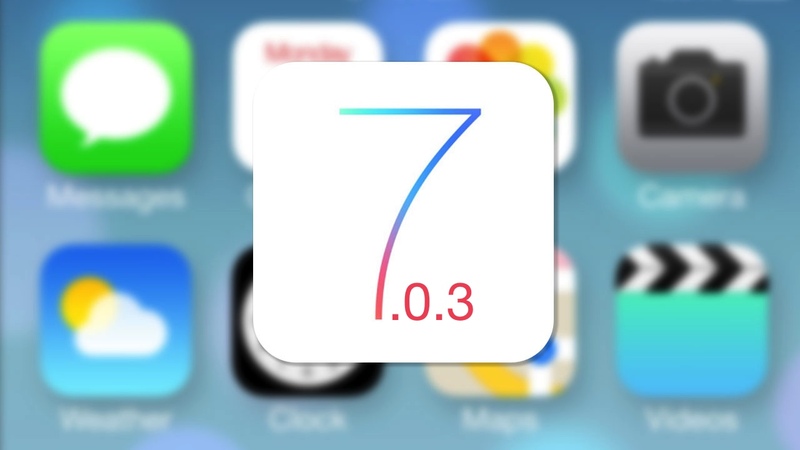 In addition to the iOS 7 Messages and battery issues, what problems are you hoping Apple will fix with iOS 7.0.3?